Howell-Oregon Electric Cooperative, Inc., is currently seeking interns in Accounting and Engineering for the summer of 2019. Priority will be given to students in their Junior or Senior year of college, with preference given to students from the HOEC service territory (Howell and Oregon counties, and parts of Douglas, Ozark, Shannon, and Texas counties). The Southern Missouri Home Builders Association (SMHBA) will host the 27th Annual Home and Garden Show on Friday, March 1st, and Saturday, March 2nd, 2019 at the West Plains Civic Center. The show will be open from 3:00 p.m. to 8:00 p.m. Friday and from 9:00 a.m. to 5:00 p.m. on Saturday. Missouri’s farmers plant and harvest some of the finest crops grown in America. Farmers know the importance of timing. You can’t plant too early because of the possibility of a late frost, but planting too late may not give the crop enough time to produce abundantly. Beginning on Friday, December 21st our drive-through will be closed for maintenance. The maintenance is expected to last a few days. We appreciate your patience and apologize for any inconvenience this may cause. During the cold days in winter and the hot days of summer, Howell-Oregon Electric Cooperative (HOEC) encourages members to participate in any peak alerts that may occur. As of the time of this post, HOEC reporting shows just 3 members remaining without power after poles were broken by powerful wind and storms last night, resulting in initial outages of almost 1,400. 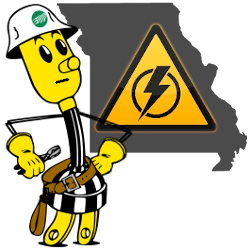 We appreciate the patience and understanding of all members as our crews continue to work to restore electrical service in as timely a manner as is safely possible. We have 99 members still without power in our service area. Remaining outages are primarily the result of several poles broken by high winds that require replacement. Crews continue working to safely restore power to all members as quickly as possible.